Our Kids Cup tournament finals day took place at Accrington Academy on Tuesday, with seven primary schools from Hyndburn and the Ribble valley competing. 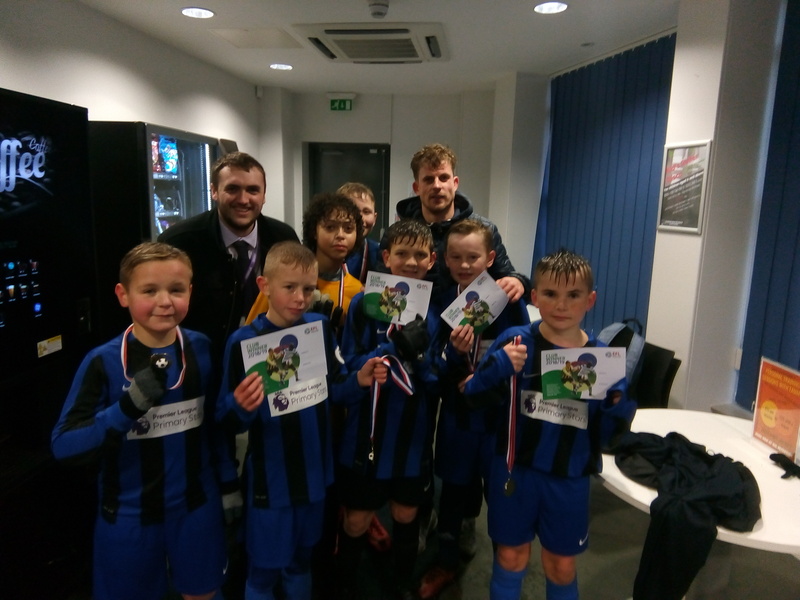 The tournament which is held in partnership with the EFL Trust and Hyndburn and Ribble Valley School Sport Partnership held qualifying rounds in both areas with the top four teams from each area invited to play in the final. The Kids Cup is an under 11 football based tournament which all football in the community trust up and down the country run on behalf of the Football League Trust. Each Community Trust organise their local competitions, with each winner representing that football club at the Northern Finals, with a chance to get through to the National Finals, played at Wembley! After some great football matches in what can only be described as horrendous weather condition, Belthorn Academy were crowned the winners in the final against St Leonards Langho who fought until the final whistle with a last minute goal to make the final score 2-1. Belthorn will now go on to the Northern finals in March 2019 as well as walkout with Accrington Stanley at a League One fixture in the New Year. We would also like to thank Hyndburn & Ribble Valley Schools Schools Partnership for their support with this annual competition.